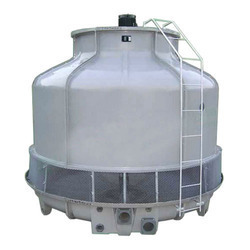 Prominent & Leading Manufacturer from Chennai, we offer cooling tower. We are the number one company for providing Cooling Tower to our clients. It is precisely designed Cooling Tower can be used in various industries for cooling recycled water. Offered Cooling Tower is precisely engineered with the help of premium quality material and ultra-modern machines in compliance with set industry norms. Note: We can supply only following states to Tamilnadu, Andhra, Karnataka, Kerala, Pondy, Telangana.